The holidays are here! Give the gift of music and movement. 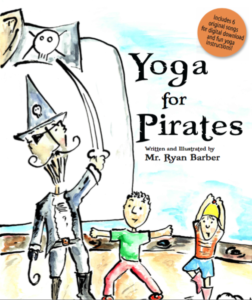 Buy your copy of Yoga for Pirates, or the incredible Mr. Mop and the Mountain of Muck. Books available at our online store. Yoga for Pirates Instructional Video! from Ryan Barber on Vimeo.